Anyone that knows me knows that I love to travel. I never dreamed that when I got into real estate over 17 years ago that I would not only find a career that I love but would also get the opportunity to travel to major cities in the U.S. and abroad! What many people do not know is that The All-Star Team is very determined that our agents keep up with the newest trends, statistics and advances in the real estate field. Therefore, we have not missed a National Realtor’s Convention and Expo since I have been employed. You may ask “What is so great about the National Association of Realtors Conference and Expo”? Well, It is by far the largest and most important real estate conference in the United States. It has been described as the Super Bowl, World Series, and Game of Thrones finale all in one! For 4 days we mix and mingle with the top producing real estate professionals, industry experts and corporate executives. There are over 100 education sessions spanning from topics of current real estate technology, law, staging, time management techniques, safety, marketing and sales strategies, fixing and flipping homes, nabbing the online leads, personal growth, investment forums, team-building …I could go on and on! Plus they are all taught by powerhouses of the real estate industry. And I cannot forget to mention the Realtor Expo which has 400 industry vendors and more classes on how to use all the new gadgets and gismos! I’m telling you…we are pumped when we get back to Hattiesburg and loaded with new ideas and inspiration! And to top it off…this year, Adam and DeLois have ordered the NAR Convention Sessions, because who could possibly attend everything? Each Monday at staff meeting one of us presents a synopsis of a session that they have listened to the past week. We just keep on learning!!! The conventions are always held in fantastic locations to draw as many attendees (20,000 +) as possible and to have a convention complex big enough to hold everyone. Past conventions have been held in Orlando, Anaheim, San Diego, San Francisco, Chicago, New Orleans and Boston. I joke with Adam and DeLois every year saying I may be retiring soon but I have to check out where the convention will be held before I make that decision! The Boston NAR Convention 2018 was worth the wait! And the 2019 convention will be held in San Francisco. Even though it has been located there twice in the past, I am going to hold out on retirement at least one more year! Linda and I always go a few days early to explore the surrounding areas. We’ve explored Napa Valley, Sausalito, Muir Woods, Alcatraz and of course, The Fisherman’s Wharf. But Carmel, The Hearst Castle and Yosemite National Park are on my bucket list. Hummm… I hear they have day trips to each of these places from San Francisco. So I bet they will be on our itinerary! Another opportunity that working with this team has afforded me is the chance to travel abroad. When our team makes our yearly goal, we are awarded a team trip anywhere we choose! Past trips have included Paris, London, Hawaii, Caribbean cruises, New York City, Washington D.C., Jamestown, Williamsburg and Charlottesville, Virginia. Going on these trips as a team is a great tactic because we truly bond with our co-workers and feel like one big family. Ha! I think that’s good! No really, working here has been one of the best choices of my life and I love my co-workers! So, in 2019 we will be using all that knowledge gained from all the classes we attended at convention and especially working hard to reach our goals. (I’ve never been to Italy! Lol!) Just give us a call if you or someone you know is thinking of buying or selling a home! We will be sure to give you and your referrals the All-Star treatment! As an Accredited Buyer’s Representative, I assist clients throughout their home-buying process. 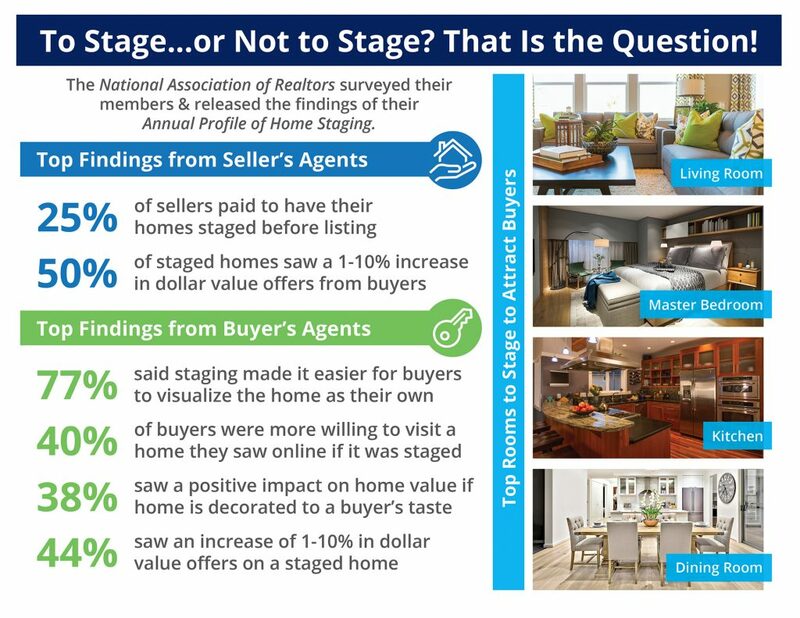 Working with many first-time purchasers, I discover, understandably, that they are full of questions since they have never been through this experience. I find myself acting as an educator and coach as much as a licensed real estate agent. When I meet with potential buyers during a buyer’s consultation, one of the first things that I determine is if they have been pre-qualified or pre-approved with a lender. I often receive that “deer-in-headlights” look that cues me into their answer. I explain that the first step in purchasing a home is to meet with a lender who can determine a comfortable price range in which they are qualified based on factors, such as income, debt, and credit score. One of the most common questions that clients ask me is whether they should use a local lender or not. I advocate unequivocally to working with a lender who is a part of the community because buyers receive incredible expertise, reliability, and service. Do not just take my word for it. I reached out to several mortgage loan officers from our Hattiesburg market area who offered their insights. The option to do a quick online application where a computer runs an analysis sounds convenient, but I have never had a borrower regret slowing down and gathering all the information to make a great financial decision that they will feel good about years later. A good loan officer is also a financial advisor. The wrong loan product can cost you thousands of dollars over the life of your loan. You need someone who is willing to discuss the pros and cons of each loan product and provide an analysis of why one loan product is superior to another. An experienced loan officer will consider your long-term goals as well as your short term needs. Many first-time buyers make their decision based on rates alone; however, this is not always the best tactic. Other factors like down payment and the cost of private mortgage insurance should be considered as well. The reputation of your loan officer and company affiliation can sway the outcome of your offer. Sellers are vesting as much into this transaction as the buyer. In a multiple offer situation, I have personally seen a seller select a lower offer amount simply because of the reputation of the prequalifying lender. During the loan process you will be required to open up all of your personal information. In a world of constant threats of identity theft, it is smart to do your own due diligence and make sure you are dealing with an actual licensed lender. How do you as the consumer investigate the integrity of your loan officer? The NMLS Consumer Access site can be searched free of charge at www.nmlsconsumeraccess.org . You can confirm that your lender is licensed in the proper state for your transaction and see if your lender has been subject to any disciplinary actions. We know your market. Our mortgage professionals are experienced, and knowledgeable not only in loan origination but in recognizing the nuances unique to our area. We all live and have purchased homes here, too! We’ve also partnered with only the best real estate agents and homebuilders in the area to deepen our understanding of the local market. With our combined experience and Academy’s broad portfolio of mortgage solutions to choose from, we will customize the best loan program for your situation. We care about this community. Bringing homeownership to our neighbors and friends through our mortgage products solidifies our communities and revitalizes our neighborhoods. But in addition to providing these services, we believe we have a responsibility to give back to the communities who have supported us for more than 29 years. To fulfill this commitment, our Branch is actively involved in local service projects, sponsorships, and area associations. If you use a local lender who has a brick and mortar building, you can choose which lender you prefer to work with, and each time you have a questions or comment or concern you have one person (or maybe two if there is an assistant available) to work with you during the entire process. You may not want to go in for a face-to-face visit, but local lenders are available by internet, phone, and, in most cases, by cell phone even after business hours. Being technically-oriented, millennials can benefit from using a local lender because most lenders today are up-to-date with technical software. If preferred, loan application documents and all disclosures can be emailed, and you could sign with “e-signature.” The income documents and other documents needed for loan approval can be scanned and emailed. BUT, you don’t lose that personal experience. Let’s talk about a sense of community too. This same local lender has usually numerous employees that live alongside of you and your community. They understand the market you are in, the trends that are happening now as well as what is to come that may affect your market. Those same employees are supporting the same local venues as you are, such as restaurants, dance studios, gymnastic studios, and they are supporting the community in which you live. And lastly, these corporations are paying taxes, as well as advertising and donating funds for your use and support of local events and charities. The famous quote by Mark Twain in the title of this article can be used to describe home ownership in America today. Last week, the Census revealed that the percentage of homeowners in the country increased for the first time in thirteen years. “The annual increase marks a crucial turning point because it comes after the federal government reined in bubble-era policies that encouraged banks to ease lending standards to boost home ownership. 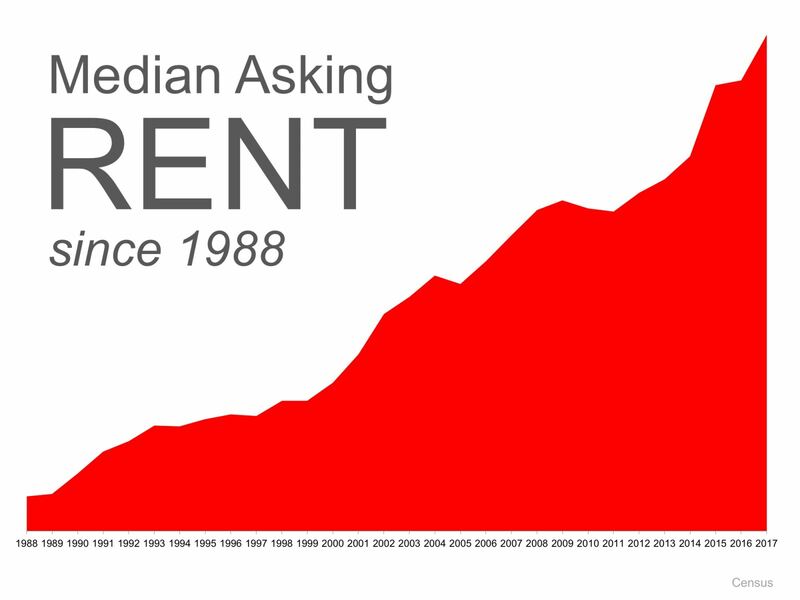 This time, what’s driving the market is a shift in favor of owning rather than renting. 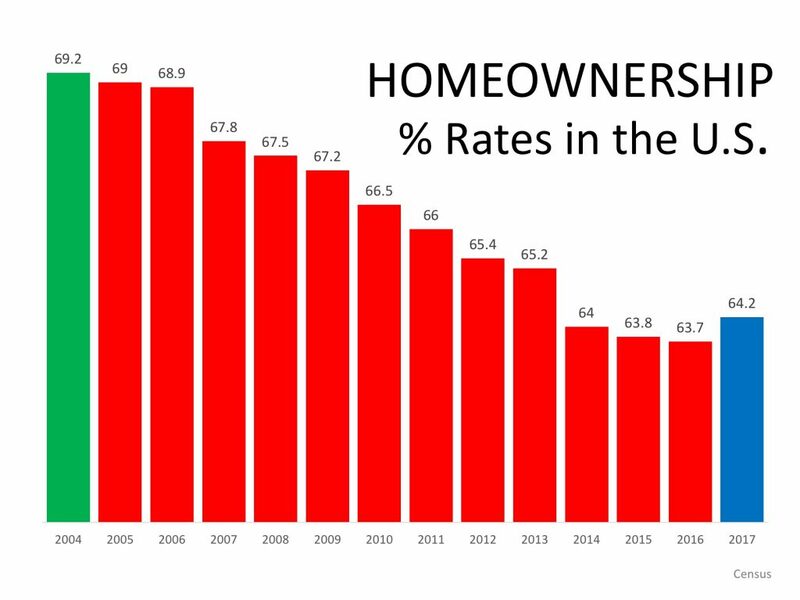 “Undoubtedly, the recession had a great impact on home ownership…However, it looks like it takes more to discourage Americans from buying a house than that. Home ownership has been, is and will always be a crucial element of the American Dream. Shoulds baby boomers buy or rent after selling? One way to protect yourself from rising rents is to lock in your housing expense by buying a home instead of renting. A 12-week Year....a unique way of goal-setting we all can use! And just like that, a New Year has begun!!! Our team couldn't be more excited about the possibilities that a new year brings, and we couldn't be more thankful for the blessings that our loyal friends and clients brought us over the course of 2017. If I could sum up 2017 in one word, it would be: "change." If there was anything that 2017 taught me, it was that change is ever-present - and there are seasons in our lives where the changes are more acute than at other times (at least it was for me in 2017). Change can be incredibly productive, though, as it forces us to adapt and search for new normals, improve our skills, and deepen our faith. With that said, I'm looking forward to the "promise" of 2018 and anticipating more opportunities to embrace change and grow! Our team customarily meets in late November/early December to review the year that is closing and make plans for the upcoming year. This year was no different as we gathered our agents and full-time staff in our conference room to review the year's "Hits and Misses" - both as a team and individually. This practice allows us to determine what elements of our business need renewed focus and improvement as well as identifying the areas that went well and making sure to preserve them. Each team member gets an opportunity to look ahead and develop goals for the upcoming year as well. For this year's planning session, we applied a new concept called "The 12-Week Year." Amelia and I discovered this concept while reading Buffini & Company Magazine - an industry publication produced by the company of real estate entrepreneur and industry guru, Brian Buffini. The concept presented in the article was developed by Brian Moran, the founder and CEO of The Execution Company, which is a consultant to Fortune 1000 companies who hope to boost growth and productivity. I'm including extended, edited excerpts from that article to help explain the concept. Its very simple to understand and applicable to any business or personal endeavor. The idea behind "The 12 Week Year" is periodization, a concept utilized by the U.S. Cycling Team in which athletes train in four-to-six week cycles that focus on one aspect of cycling, such as sprinting or hill climbing, instead of trying to improve everything at once. After each cycle, there's time for rest and recovery before moving on to the next skill or discipline. Moran felt this concept could be applied to business, as well as other areas. Many businesses and people make the mistake of trying to be great at everything at once. Often, instead of achieving greatness, they become overwhelmed and lose sight of their goals. The fact is, every week/day/moment counts! We need to be conscious of the reality that execution happens daily and weekly, not monthly or quarterly. It [the concept] is simple: focus on improving a skill or achieving a goal for 12 weeks and, on the 13th week take time to recover. Instead of setting annual goals, create company wide and departmental goals to achieve during each 12 week period. Then post these goals where they can be seen and recommit to them each day. If you want to change your actions, start with your thinking. The 12-Week Year is organized to help you change the way you think, and eventually the way you act. Your thinking influences your actions and your actions impact your results. When you change your thinking, your actions will begin to realign and you'll start to experience breakthrough results. One of the biggest reasons people don't reach their goals is they try to achieve them over a long period of time - often, 12 months. No wonder it's so easy to lose the motivation to achieve them! The beauty of working in 12-week sprints is it creates a sense of urgency to take action in a brief time span that allows you to get everything done while maintaining your motivation. Instead of procrastinating or quitting when it gets tough, you'll continue to have the motivation to focus on the execution. The results will be more pronounced and will show in the increased amount of things you get done each day. [Think of life as a] series of sprints. You'll get more done working in focused bursts than you will by working continuously with no breaks. Change your thinking and start working in 12-week intervals and you'l be amazed by how much you can accomplish. This concept resonated so strongly with me personally as it's something I have applied with success (without knowing it) to my personal health and fitness journey that began in 2014 and continues now 4 years later! It was exciting to introduce the principle to our team, and by the end of the team planning session all who participated had outlined an area of focus for the 12 weeks that began January 1st and inscribed their goal on large sheets of paper which are hung in our conference room for each team member to continually see. In fact, they are placed in direct eye sight of each team member along the walls based on where each team member traditionally sits for our staff meetings. This will keep the goals at the top of our minds, and provide an opportunity for accountability to occur as each week as a report on that plan of action will be given by each team member. You may find the 12-Week Year method applicable to your own business or personal life. It certainly isn't limited to real estate but transcends to a variety of areas that you may have "resolved" to address as a new year begins. Brian Moran has written a book entitled "The 12 Week Year," that you may wish to check out or order. More information is available at 12weekyear.com. Our team is looking forward to seeing the results of this fresh approach and how these plans translate to serving our clients and friends better than ever in 2018!!! Here we stand with 2/3rds of 2017 in our rear view mirrors, and what a year it has been so far! Does anyone else feel like we've lived a decade in just 8 months? From the inauguration of a new President in January on the national level, to the locally dramatic impacts of a huge tornado ripping through the cities of Hattiesburg and Petal the very next evening! Fast forward to August where we experienced the excitement of the first total solar eclipse in decades, witnessed over almost the entire continental United States, and then days later, the arrival of Hurricane Harvey to the Texas Gulf Coast. The damage and torrential flooding from that storm is still not fully known at this writing. It's been an exhausting year in many ways. Our thoughts and prayers remain with so many who have been impacted by this storm. It can be easy to become discouraged and angry if you spend too much time watching the news recount and opine on these events and hundreds of others that I will not take the time to detail. Suffice it to say, there is a lot of turmoil in our world, in our country, and in our communities - both real and imagined - precipitated by the activities of nature and man. Recently, Amelia and I made the decision to reduce our intake of the news media because we recognize that regardless of what is being reported in the media - both on television and online - that it's no where near the full story. It often ignores the good that we can find all around us, and it leads us to a place where we are tempted to begin viewing our neighbors as our enemies as opposed to our friends. Good news and good people/neighbors are out there, mind you - I guarantee it! How do I know? Because the simple goodness of people and their desire to serve others was on full display in January when thousands of volunteers flooded our Hub City to give us a helping hand after many had lost everything in January's tornado. Our family worked alongside those coming to the aid of those in our community, and many of them camped out in our church's parking lot for weeks afterward. They loved us and wanted to help. Most of you have similar memories of those days 8 months ago, I'm sure. It's often in these of times of utter devastation that we're shaken from our television sets and mobile devices, and we discover who our neighbors are and learn to love them in spite of differences (real or perceived) that may exist. Right now, thousands upon thousands of volunteers are on their way to the aid of millions impacted by the affects of Hurricane Harvey. By the time you receive this issue of the Star Chat, most of you will have already heard testimonies of the work that is taking place there. Some of you may be amongst that number of volunteers, and many of you will know volunteers who left with only a moment's notice to aid victims of this latest disaster. It's uplifting to witness, and I encourage you to focus on and engage in those efforts. It can help balance our perspectives and force us to look beyond our "screens and stereotypes," and into the lives and hearts of others. What a novel idea. REALTORS will be a part of this effort as well! The Mississippi REALTORS Disaster Relief Fund was established after Hurricane Katrina to provide aid to property owners who've experienced damage and displacement from their properties as a result of disasters such as this one. Since 2005, it has distributed more than $4 million dollars in aid to those impacted by various disasters both in Mississippi and other states, including aid to victims of flooding in Louisiana last year. No doubt, REALTORS from all over the country will engage with this current disaster in similar ways, as they always do! REALTORS view ourselves as caretakers of communities, and we are both obligated and honored to put that belief into action! It's a good time to reflect on the relationships we have with our neighbors, and the silver lining of the opportunity to serve your fellow man in a time of need and witness and experience the good of others. It's out there! At the end of the day, we have been blessed to call the finest land on earth our home, and we at The All-Star Team, REALTORS, are so thankful to serve you as our neighbors. May God bless you all...wherever you may be...and in whatever circumstance. We are thankful for you! Make it a red, white, & blue summer! I'm not sure about you and your family, but May is a month filled with so many tremendous annual milestones for our team and our families. From birthdays, to weddings, anniversaries, and graduations, it's hard to believe that so much can occur inside of 31 days. DeLois celebrated another birthday on the same day that Amelia and I marked an anniversary. One of our dedicated team members, Lauren Lott, completed her undergrad degree in education at the University of Southern Mississippi (congrats, Lauren! ); and DeLois' grandson, Robert, celebrated nuptials as well as his new bride's graduation in a single event they termed a "graduwedding." They simply killed two birds with one stone! How's that for efficiency? Anyone who knows Robert is not surprised by this creativity! Perhaps he learned some of that from his grandmother? For me, May also included an annual pilgrimage to Washington, D.C., on behalf of the Mississippi REALTORS. Many of you are aware of the additional work that the team allows me the opportunity to do in service to REALTORS and the real estate industry on the local, state, and national levels. This journey of service is one that began in 2005 with my first serious efforts in association work on the local level, and it continues to this day in various capacities within our local, state, and national associations. One of the most impactful efforts REALTORS make is our annual visit to the office of every Congressman/woman and Senator each May in D.C. During our meetings we discuss the impacts of policy proposals and regulatory changes on the real estate industry and property owners in general. This year, we focused on maintaining the availability of affordable flood insurance, protecting the tax advantages of owning a home, and preserving the integrity and liquidity of the secondary mortgage market through FannieMae and FreddieMac. Since housing and real estate comprises such a large percentage of the nation's economy, the overarching message to lawmakers was, "Do no harm to housing!" As the nation's largest trade association, as well as the single entity dedicated to advocating on behalf of property owners, the message was delivered loud and clear once more as nearly 10,000 REALTORS filed into the Senate and House office buildings over the week of May 14 - 20. The effort continues on a daily basis through our Governmental Affairs teams at all levels of government. The neat thing is, anyone can join our party - even you! We call it the REALTOR Party because there is no political party affiliation - only the desire to support candidates who support and protect housing and property ownership rights. I've included a few photos of events throughout the week, including meetings with Senators Cochran and Wicker as well as Congressman Palazzo. As you can see, being a REALTOR is far more than marketing and managing the sales of property. On a larger level, it's becoming a caretaker of the American Dream and property ownership rights for millions of property owners nationwide. It's a role that we are honored to serve and proudly fill, and an opportunity to contribute to a high and worthy purpose. Speaking of American Dreams...let us not forget that if it weren't for the divinely inspired efforts of some very brave men and women some 241 years ago, the freedom of property ownership as we know it would not exist. It's part of the reason our team sets aside each July 4th to celebrate the birth of our country with all of our friends and past clients. This July 4th will be no different! Go ahead and mark your calendars for our annual July 4th festivites being hosted at Canebrake Clubhouse between 11:00 and 1:00. We invite each of you to RSVP and join us (more event info to follow in coming days). The program is changing this year to feature the performance of "Victory Belles" of the National WWII Museum in New Orleans. We're excited to have secured them as special guests. You won't want to miss it! As we stand on the precipice of Summer 2017, I can't help but be a little excited about the possibilities and celebrations of the season. Our team stands ready to become part of those with you whether it be the purchase of sale of a new piece of property or simply joining together at our annual July 4th reunion. Regardless, we are here and we are ready to deliver the power of a team to you and those you care about! Make it a red, white, and blue summer! Human nature causes us to have a tendency to reflect on our lives and on the people who have impacted us in a positive way. In the month of June, we honor fathers for the crucial role that they play in shaping their families. For many people, however, fathers are absent in the home, and other people step up to fill that role. As I celebrate Father’s Day this year, it is not hard for me to remember the three important men who have encouraged, supported, and loved me unconditionally throughout my life: Terry, Pete, and Ken. There was a picture of me as a preschooler standing next to a newlywed couple on the steps of a church. I was supposed to be with my mom decorating the newlyweds’ car, but somehow I was drawn to the excitement happening in the front of the church. The bride was my mother’s sister, Trish, and the groom was Terry, who became my uncle that day. Early on, I felt compelled to hang out with him. I loved to watch him work on cars, and he could fix most anything. When I went off to college, he promised to look after my mother, who was recently divorced. He kept my Volkswagon Beetle running, even putting new tires on it when I could not afford to purchase them. When I asked how I could repay him, Terry assured me that making good grades in college was sufficient. When I bought my first car after college, he was the one who helped me with my decision and negotiated with the car salesman. Since Uncle Terry had kept my VW Beetle running all of those years, it was an easy decision to give him the car. Being a great listener, Terry helped to fill a void in my life. Whenever I was having troubles, he was sympathetic and encouraging. He shared his personal stories helping me to view things from a male’s perspective. When my big day came to walk down the aisle, I asked Uncle Terry to do me the honor of giving me away. I cherish the fact that he filled in the gaps throughout my childhood and treated me like the daughter he never had. Another important man in my life was Pete, my father-in-law. I began dating his son my junior year of high school. Pete was a fun-loving person who always had a great story to tell. He traveled extensively with his job as a furniture representative for the state of Georgia. He never met a stranger and could relate to every person he encountered. He was generous to a fault. When I was driving back to college one weekend, he asked if I had any money. He was not trying to embarrass me, but he was aware of my family’s tight financial situation. He gave me twenty dollars with the stipulation that I did not have to pay it back if I ever had to use it, which is not standard procedure when a person receives a loan. Of course, I used the money at some point, but, when I had a summer job, I stuck a twenty dollar bill in his shirt pocket while his hands were in a sink of dishes because I knew he would protest. Possessing a sensitive side, Pete was the one to cry as his son drove off for college as a freshman, and he was the only one of our parents who shed a tear at our wedding. Pete loved to laugh and to make others laugh. He would never admit it, but he was the culprit who hired the entertainment who interrupted our wedding rehearsal dinner. It was a PG-rated performance since the minister and his wife were in attendance. The minister later was heard saying that he had never had more fun at a wedding rehearsal. Pete loved his family dearly and showed it with his many acts of kindness. His five grandchildren were the apple of his eye. I cherish all of the fond memories that I have of him, and his legacy lives on in the hearts of his family and friends. It is hard to put into words how much this last man has impacted my life. My husband, Ken, has been my biggest role model of unconditional love and support. He possesses so many great qualities that won my heart in adolescence. Ken and I attended school together from third grade through college. When we began dating in high school, we discovered that Ken’s family had lived in the same neighborhood as my Uncle Terry and Aunt Trish when he was younger. We vaguely remembered playing together in the neighborhood when I would visit my uncle and aunt. It seemed our paths had crossed sooner than elementary school, and we were meant to share our lives. Ken and I will celebrate twenty-seven years of marriage in July, and we are blessed to have our three children. From changing diapers to teaching life-long skills, Ken has been a devoted father who has always been involved in all aspects of raising our children. He has been faithful to be present at games, dance recitals, school programs, emergency room visits, but also he has made himself available when our children have needed him, such as speaking words of comfort and truth to mend our daughter’s first broken heart to accompanying our son out of state for his first job interview. Ken has encouraged our children to follow their dreams and has instilled in them a strong work ethic by his example. Following the role model set by his father, Ken loves his family dearly, possesses a great sense of humor, and believes the best of others. I cannot imagine how my life would have been altered had I not had these three individuals in my life. I am forever grateful for their positive influence. I wish a Happy Father’s Day to all of the fathers and father figures who have made a difference in the lives of their families and of others.